Both multi-cloud and hybrid cloud architectures provide businesses with flexibility. The degree to which the public and private clouds involved are integrated is a differentiator. hybrid cloud, but those apparently don't describe architectures that really embrace the cloud. So what exactly encompasses the multi-cloud wonderland and how does it compare to other cloud options? Obviously, a multi-cloud includes multiple clouds. So does a hybrid cloud. 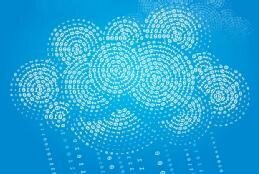 But when it comes to multi-cloud vs. hybrid cloud, there's a key difference that's nudging the market to focus more on multi-cloud. A hybrid cloud is a single entity, defined as an amalgamation of a private cloud environment with one or more public cloud environments. These can be any combination of software as a service, IaaS, PaaS and any other as-a-service environment you can conceive. But, it's a singular noun, describing a singular entity. Multi-cloud, by nature, isn't one thing, but rather a series of entities that must be brought under centralized management. To some extent the multi-cloud vs. hybrid cloud discussion is semantics, and you can safely interchange the two terms. But a hybrid cloud usually includes a combination of public and private clouds. Multi-cloud makes no distinction between the kinds of clouds that you operate. Perhaps your multi-cloud doesn't have a private cloud environment at all, and you operate everything on AWS and Microsoft Azure with a little bit of G Suite thrown in. That's a multi-cloud environment. Ta-da! There's another difference to be aware of when looking at multi-cloud vs. hybrid cloud. In a multi-cloud environment, the individual clouds may not be integrated with one another. That's part of the reason for the plurality in multi-cloud as opposed to the singularity of hybrid cloud. In a hybrid cloud environment, one of the sometimes incorrect assumptions is that the cloud components are integrated to form the cohesive singular entity. With a private cloud, everything is inside an organization's data center. Services have their own sandboxes, and application design is monolithic. A public cloud is external to the data center. It's service- and app-centric with lines between each app. Cloud-native applications are more modular, but people still treat the environment as a data center rather than changing their thinking. A hybrid cloud is a bit of both. Each side is separate, but they form a greater whole. It's still app-centric for the most part, but infrastructure integration is greater. And it has the beginnings of distributed application support. With multi-cloud, applications can span clouds, but they don't have to. Components of an application live wherever it makes sense. People don't see data centers anymore, but they view the multi-cloud as a massive fabric that binds together application components. This list is intended to show a progression and isn't comprehensive. A hybrid cloud provides an organization with the flexibility to use services from and deploy workloads to both on-premises private clouds and public clouds. For instance, a mission-critical workload with significant security requirements can be deployed to the private cloud, where the business retains control over the infrastructure and software stack. Other workloads, such as web servers and test environments, may be deployed to a public cloud. This frees an organization from having to invest in a full private cloud infrastructure for every workload and lets it pay only for the resources it uses for workloads that can be deployed to the public cloud. In addition, a hybrid cloud lets an organization take advantage of the scalability that the public cloud offers to do something like process infrequent, but intensive, big data analytics that involves creating a large Hadoop cluster. Hybrid clouds also let businesses share resources among clouds. They can use a private cloud to run a workload even while that workload's data is stored in the public cloud. They can also migrate a workload between public and private clouds to take advantage of fluctuating resource costs and network traffic levels. With multi-cloud, the world becomes your playground. You get the most comprehensive mix of public and private clouds, and you don't necessarily need to deeply integrate them. Of course, depending on how you use such services, you may want to integrate them, but it isn't required by definition. For example, you may want to deploy different parts of a distributed application in multiple clouds in order to protect against the failure of one. A multi-cloud approach also provides organizations and application developers with the ability to pick and choose the discrete components that will comprise their applications and workloads. There are no more technical barriers to leap over, and developers can select specific services that meet their needs rather than settling for what a single provider offers. For all the upsides of both approaches, in the multi-cloud vs. hybrid cloud debate, there are also downsides. Hybrid clouds can be complex to implement and maintain. Deploying the private cloud piece of the hybrid setup can be challenging in itself. It requires an extensive infrastructure commitment and significant staff expertise. On top of that, to be considered a hybrid model, the private cloud must be integrated with at least one public cloud to the extent that the underlying software stacks work together. As the private cloud is integrated with multiple public clouds, it becomes even more challenging and complex. Hybrid clouds also present their own management, security and orchestration challenges. To maintain a reasonable level of efficiency, most organizations will want to integrate both sides of the cloud as deeply as possible. This would require a hybrid approach that enables federated and consistent identity management and authentication processes. Depending on the service you're integrating, you may also need to worry about other potential vulnerabilities, such as securing API traffic exchanges. On the orchestration side, a hybrid cloud might require an intelligent workload deployment tool that's able to determine deployment targets based on costs, security, traffic, the availability of public clouds and other criteria. George Crump, president of analyst firm Storage Switzerland, looks at what's keeping some IT groups from implementing hybrid clouds. Using a multi-cloud setup opens a floodgate of security issues. The more clouds you consume, the bigger the security challenge. Remember, in security, the attack surface is the potential impact zone for hackers. The more services you add to your multi-cloud environment, the bigger the attack surface, and the more opportunity you provide for a bad guy to find a weak link. Also, costs can spiral out of control with multi-cloud if you're not careful. Skyrocketing cloud bills often take people by surprise. Using multiple clouds makes the situation worse. A poorly constructed database query that uses up CPU cycles in one of those locations can wreak havoc on your budget. Finally, there's the issue of governance. The right governance and oversight can counter many of the downsides, but a lot of organizations do governance poorly, and some developers still equate governance with command and control efforts. Nothing could be further from the truth. Governance is the creation of a foundation for future success, while command and control is an equation for long-term mediocrity driven by the wrong people. Good governance will help developers and the organization better focus on outcomes that are positive for the business and that don't come with unacceptable levels of risk. Is your organization using a multi-cloud or a hybrid cloud architecture and how is it benefiting? Multi-cloud deployments let IT pick and choose among services from a variety of cloud providers to meet the storage and workload requirements of specific business units. Many businesses can benefit from using multiple cloud services, especially if they need to ensure reliability, protect privacy, remain flexible and optimize the cloud experience. Use standardization, as well as a centralized management tool and independent monitoring tool, to deploy a multi-cloud environment that's easy and efficient to manage.